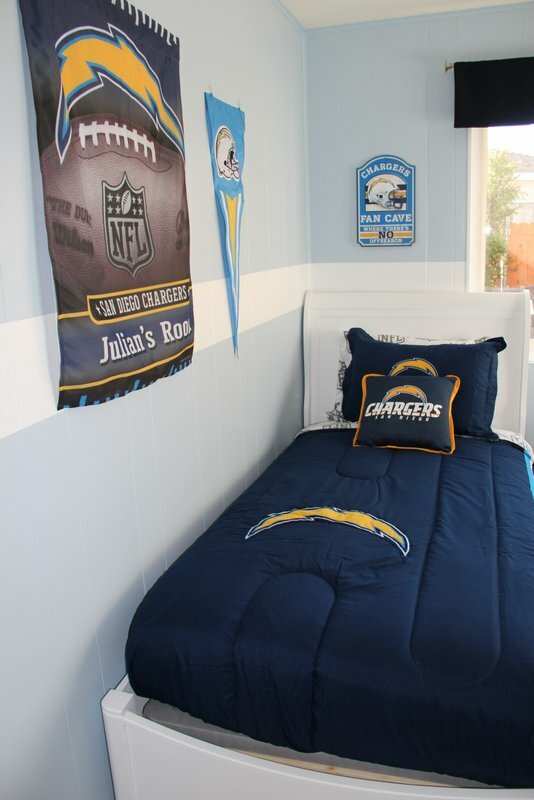 The most passionate Charger Fan in San Diego now has his very own, personalized fan cave to call home. 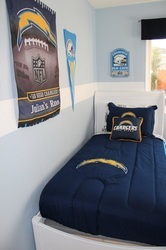 With Charger bedding, sheets, posters, pennants and more - no stone was left unturned during this amazing transformation! 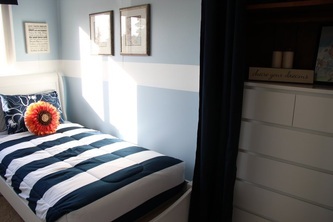 While we wait for the family approval to share Julian's story we didn't want to wait to thank the AMAZING team that pulled this 5 day install together. 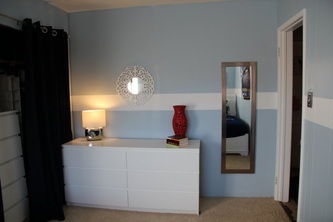 This is the biggest project Cecily's Closet has ever taken on and it speaks volumes about our big-hearted volunteers! 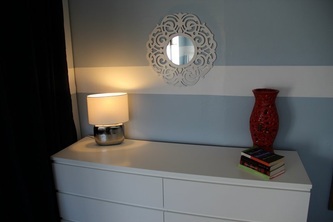 Thank you to PaintGreen, our go to partner from day one! 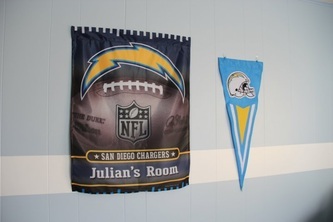 Your contribution to our organization and to Julian's special fan cave set the backdrop for this Charger blue room! A big thank you to Sid's Carpet Barn on Miramar Road for donating the carpet and pad to ensure Julian and his Aunt Jamie had a clean and soft space for Julian to crawl about the room. Thank you to our general contractor Steve! He donated his time and talent and carpentry skills to outfit this room with new baseboard, trim, a new door and more! 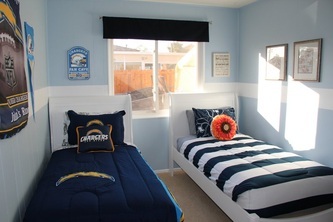 We could never have pulled off a project this big without the contribution from our generous team of volunteers and the local businesses that make San Diego such a wonderful place. 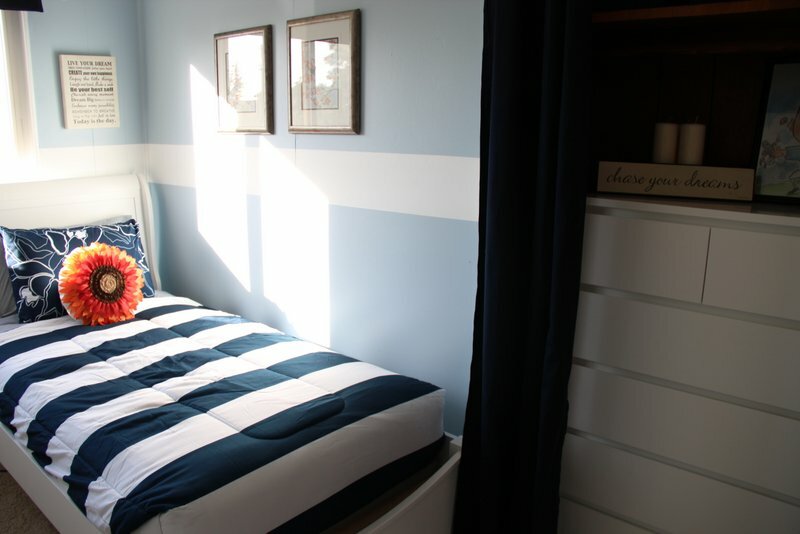 And of course, a big thank you to Grumpy Gramps, Cecily's Grandpa and my amazing Dad, for standing by us as we completed our 25th room makeover! 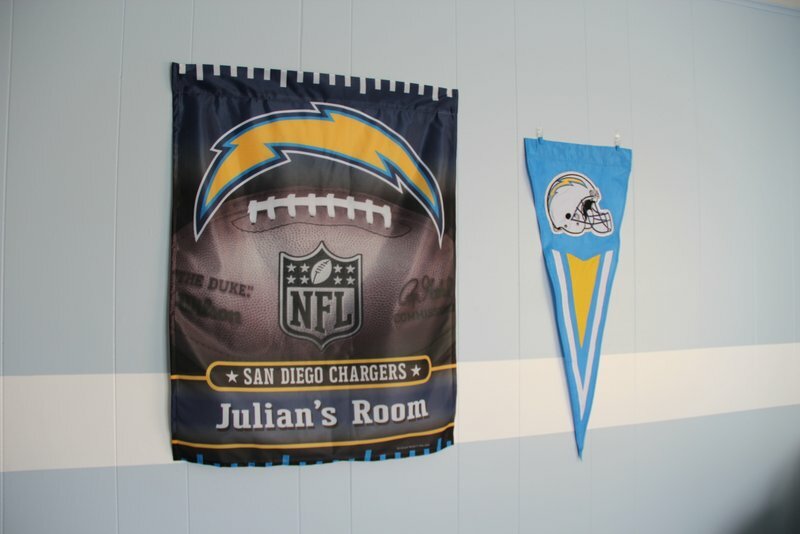 Check out Julian's Fan Cave where there is no off-season! 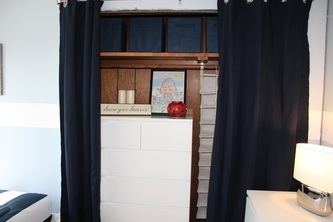 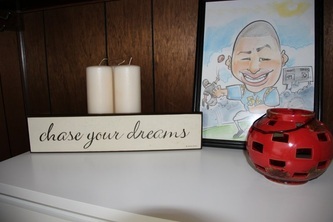 He shares this special space wtih his doting Aunt Jamie!